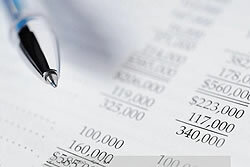 Understanding of the business's cash flow and banking activities and operations. Treasury services related to control, centralization, posting and processing of the cash flow, bank operations and expense operations to be performed as a consequence of customer payments and capital disbursements authorized to vendors and personnel. Bill collection services with regard to procedures for control, posting and processing of bill collection operations. Disbursement services with regard to procedures for control, posting and processing of payment operations. Preparation of reports and managerial information necessary for the management and administration of the business.